What Address Can I use for GPS? Are dogs allowed in the park/arcades? Can I get married at Salem Willows Park? Can I rent the Gazebos in the Salem Willows Park? The public recreation area of the park is open year round. The amusement portion of the park (arcades, restaurants, rides) are operated by private business’s seasonally, generally April-October. Business hours vary for each establishment. 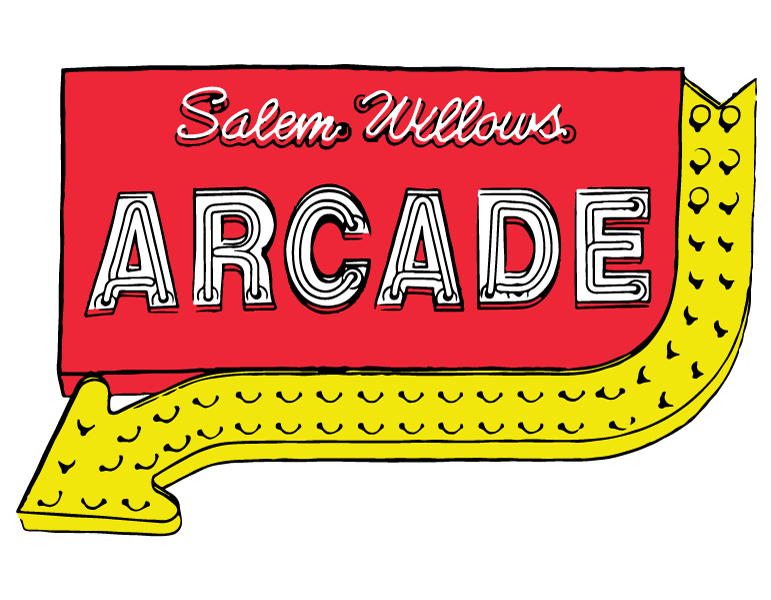 See specific hours for Salem Willows Arcade here. There is no admission fee for the Salem Willows Park. There is plenty of free parking available at Salem Willows park surrounding the basketball & tennis courts. The small parking lot adjacent to the arcades and eateries is metered. 165 Fort Avenue, Salem, MA will get you to the park. All of the arcades and restaurants are owned privately so form of payment can vary from business to business. Some of the restaurants do accept credit card payment as well as cash. There is an ATM located in the main game room of the Salem Willows Arcade. Dogs are allowed in the park area on leash. Dogs are not allowed on park beaches during the summer season. Well behaved dogs are allowed in the arcades on leash. Yes, there are public restrooms in Salem Willows Park. Swimming is permitted at Salem Willows Park beaches, however, there are no lifeguards.